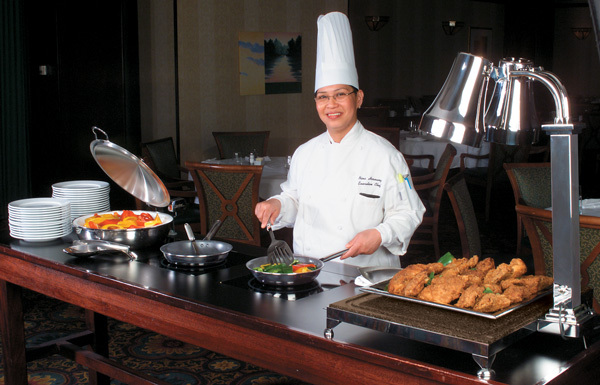 The Convertible Buffet System enhances any décor, utilizing space for maximum efficiency. We offer table sizes in 5-foot lengths with three ranges, 6 or 8-foot lengths with four ranges, or if you prefer, just the table with no ranges for added workspace. Matching Buffet Tables Without Ranges Also Available.